On Monday, Janaury 9th, Teal's Market officially opened their new store in Cold Spring, Minnesota USA This story includes an interview with Andrea Teal, Mayor Doug Schmitz, Manager Greg Carlson and Meat Department Mgr Brenda Decker. It also includes some great coverage inside the new store. Some of the new features of the store include an expanded sit-down deli, over 5000 new products including natural and organic products, a larger Cold Spring Bakery section, a pharmacy and later in February a liquor store. Whether you are a resident of Cold Spring area, or a visitor, HOMETOWN PRIDE DAYS celebrates the many great things about our community. This is the 32st year for the annual event, held the last weekend in July, and is filled with food, music, great sales, and fun events for everyone - Kids, families, & seniors. EVENTS ARE PLANNED THROUGHOUT COLD SPRING, BEGINNING WITH THE CITY-WIDE GARAGE SALES AND SIDEWALK SALES ON THURSDAY AT MANY DOWNTOWN SHOPS. ~ HUMAN TRUCK PULL -- NEW EVENT! Click here for the current Calendar of Events. Events and activities for kids are planned for Friday and Saturday throughout Cold Spring. Check the July 26, 2011 Cold Spring Record Insert for last minute changes and additions. Check out this new event, sponsored by Winners Sports Bar and Schweiters Chevrolet. Teams of 3 persons will pulling a pickup truck down Main street, with the fastest team winning cash prizes and trophies. There will also be TShirts and gift certificates given away to spectators. To enter your team in the competition, contact Winners Sports Bar at 320-685-3343. Friday, July 29TH -- please note the new start time: 7:30 PM at the Cold Spring American Legion Parking lot. Free admission for spectators. A new event in 2oo9, the Belt Sander Races were a big hit, and the event coordinators, Tim Kraemer & Lon Negen, are gearing up for another fun night for both competitors and spectators! Entrants race their belt sander on a custom track for the fastest time in a double-elimination event. REGISTER EARLY -- Entry limited to the first 24 participants. FREE EVENT! Spectators can cheer on their favorite entrant, plus vote on the best-dressed belt sander. Be sure to get downtown early to enjoy the variety of food and beverages available at the many booths provided by area non-profit organizations and take in the new HUMAN TRUCK PULL competition, which begins at 6:30 PM on Main Street. Grab a good spot to watch the Belt Sander Races to see who will be crowned the 2011champion! After the races are done, plan to stay awhile and enjoy music by Max & the Boys, playing great classic Rock & Roll music while you enjoy the Beer Gardens and other beverages, as well as more great food at the Cold Spring American Legion's Beer Garden. Kids ages 3-10 years will be able to enjoy a variety of fun activities and games at the DESTINATION IMAGINATION Game Tent, which will be located in front of the Cold Spring American Legion. Check back soon for a list of games available. Please Note: This is a fundraiser for the local DESTINATION IMAGINATION team which is raising fund to pay for their recent trip to compete in a national competition. There will be a small charge for game tokens. Dr. Mary Jo Femrite, a graduate of ROCORI High School, received her BA degree from Moorhead State University and her Doctor of Optometry degree from the Illinois College of Optometry. Dr. Femrite completed a residency with Minnesota Eye Consultants, specializing in eye disease management, LASIK surgery and comprehensive eye care. 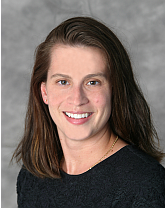 Following her residency, Dr. Femrite continued in private practice from 2001-2006. She opened LAKES Eye Clinic in May 2006. Dr. Femrite is active in the Minnesota Optometric Association, the American Optometric Association and the Cold Spring Chamber of Commerce. She has presented several case reports, research studies and lectures to the optometric community and public. She currently reside in the Cold Spring community with her husband and 2 children. An Inspiration Award Banquet took place at the Great Blue Heron Restaurant in Cold Spring this evening, where Cpl. Sean Osterman was honored with the Annual Inspiration award. Osterman died in December from combat injuries serving as a Marine in Afghanistan. Each year, as a part of the opening ceremonies of the Old Glory Run, the award is given to someone who inspires the community to give back to veterans. Sean’s mother, Kelly Hugo, accepted the award this evening following a video tribute to him. Tomorrow, over 1400 runners are registered to participate in 4th annual Old Glory Run, the proceeds of which benefit the local chapter of Disabled American Veterans. This great turn out should afford another sizable donation to the DAV this year, which will be added to the $50,000 that was donated during the first 3 years of this great fund raising event.